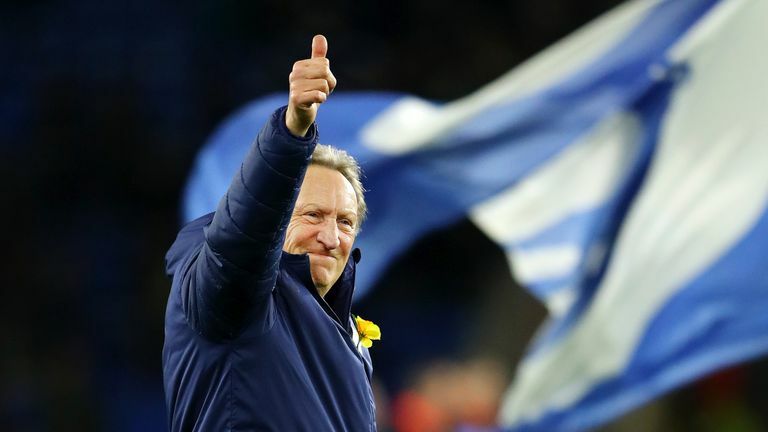 Neil Warnock has hailed Cardiff fans and said he would like to return next year, whether they stay in the Premier League or not. Warnock's side are currently 18th in the Premier League, five points behind Southampton and Brighton, with six games to drag themselves out of the relegation zone. They play Burnley at Turf Moor on Saturday. After a 12th-place Championship finish in Warnock's first year at Cardiff in 2016/17, he guided them to promotion last year and is currently under contract until 2020. The 70-year-old said he expects to see out that deal with the club - even if they do not avoid relegation - because of the way he has been treated at the club. "Our fans have been amazing," Warnock told Sky Sports. "Absolutely amazing. I've never known a group like this support me like this. "If they weren't supportive, it wouldn't be a problem for me walking out. "Unless Vincent (Tan) comes to me and says 'we'd like a change, Neil, thank you very much' then there's no way I am going to walk out on this lot yet. "I think I owe it to them in the last year of my contract to look forward - whatever division we are in - and take it up towards Christmas and then, the club has got to be looking for a manager. Hopefully I can help them find one. "But you just don't know what's around the corner." 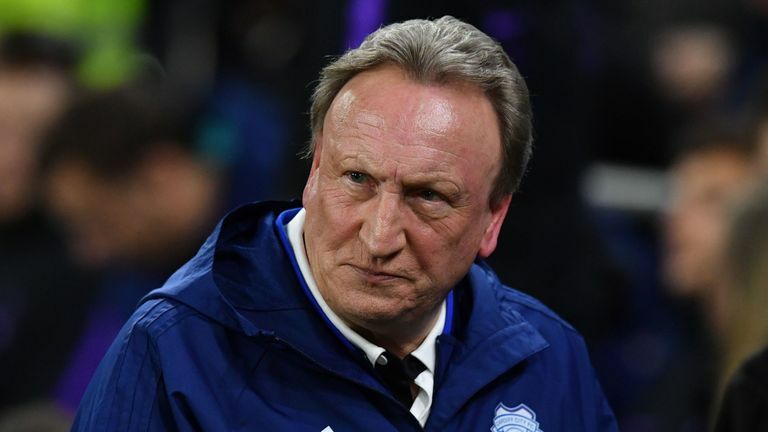 Although he has achieved great success in the Championship - gaining a record eight promotions from the division over his career - Warnock admitted he would not consider returning there except if it was not with Cardiff. "I think if it was with another club, I don't think I'd want to go back into that situation," he said. "But it's this club and what they've done for me. The fans - as I have said - have been amazing." However, Warnock could not guarantee standout loan players Victor Camarasa and Harry Arter would stay if Cardiff are relegated. "I honestly don't know with Victor. He could do anything - he could go to a top-six club or he could go somewhere and not come off," Warnock said. "If we stayed in the Premier League, I think we'd have a good chance of keeping Victor at Cardiff." "We will definitely keep Harry if we stayed up. I don't know if things don't go right for us."